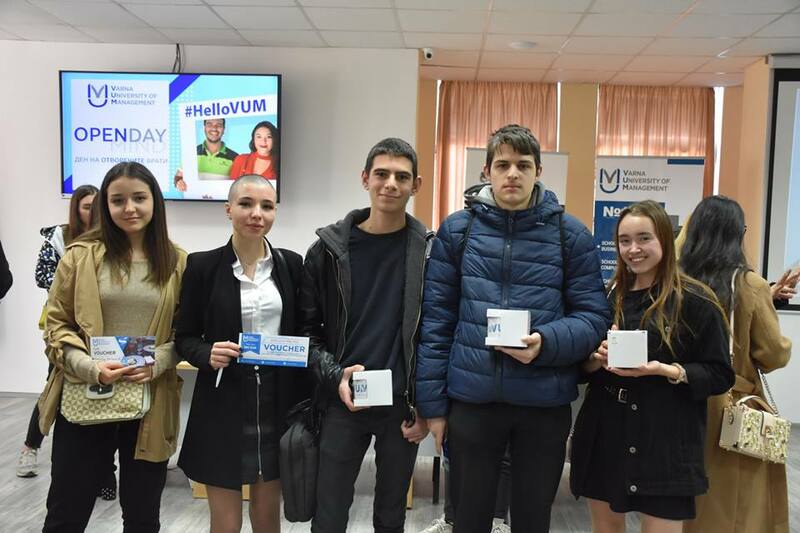 On 30th March for a consecutive year Varna University of Management welcomed prospect students, parents, lecturers and guests on the traditional Open Doors Day. The visitors had the opportunity to obtain detailed information about the offered bachelors and masters programmes, application steps and scholarship opportunities, graduation with Bulgarian and British diploma from our strategic academic partner Cardiff Metropolitan University, internship programmes and practice in Europe and USA, exchange programmes (mobility), allowing training and scholarships at universities in Western Europe, North and Latin America and Asia. 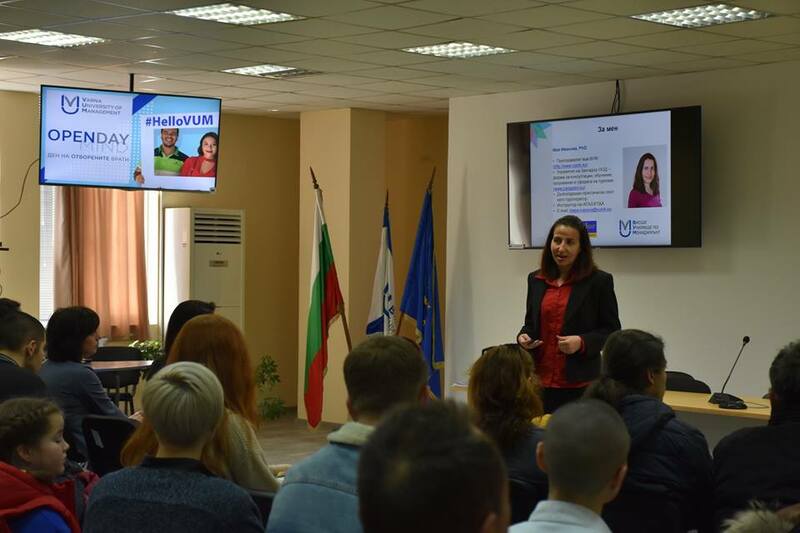 The presentation was delivered by Maria Polimenova, Marketing and Admission Director at VUM, while the leading lecturers presented the educational programs in the fields of business and management, IT, hospitality and tourism, and culinary arts. 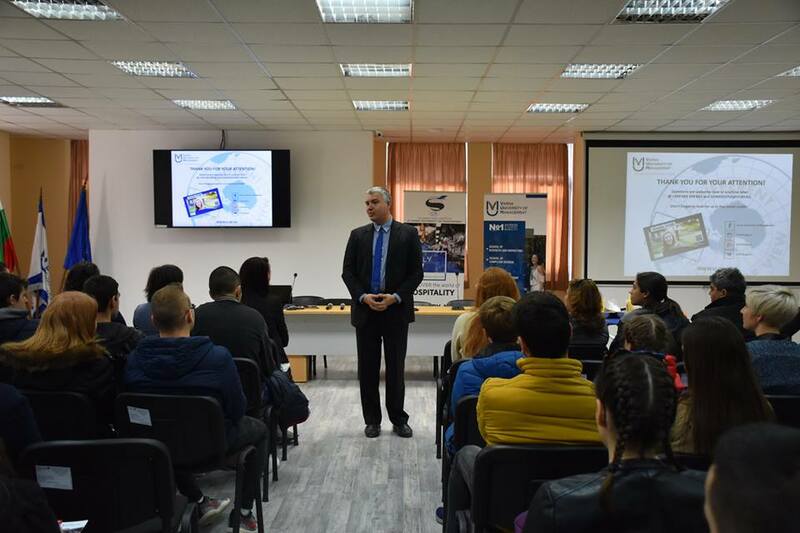 The module “Meet the lecturers” was launched by Prof. Stanislav Ivanov – Deputy Rector of Research at Varna University of Management. A fascinating presentation on “Tourism: Profession, vocation and love for life” was presented by Assoc. Prof. Maya Ivanova – Programme Director of the Academic School of Hospitality and Tourism Management at VUM and a certified IATA / UFTAA instructor. Assoc. 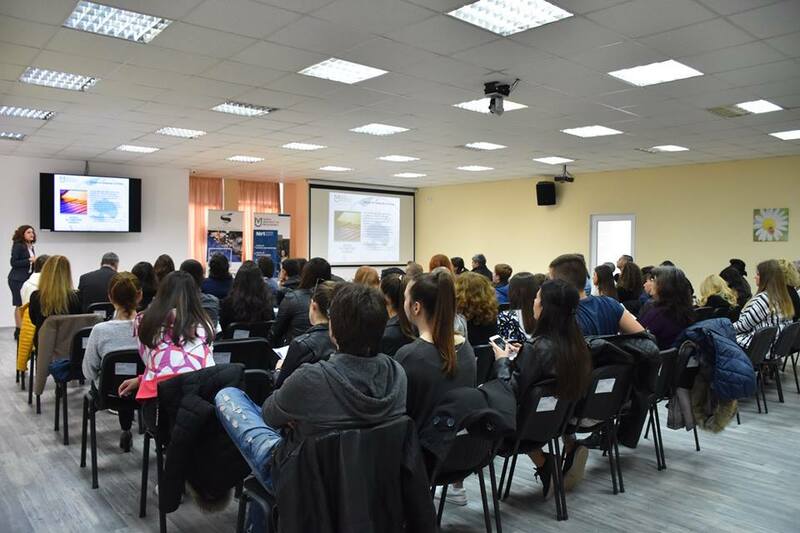 Prof. Nikolay Raychev – Programme Director of the Academic School of Computer Science at VUM highlighted the advantages of the Software Engineering Programme, emphasizing on its practical orientation and broad possibilities for realization of the students. 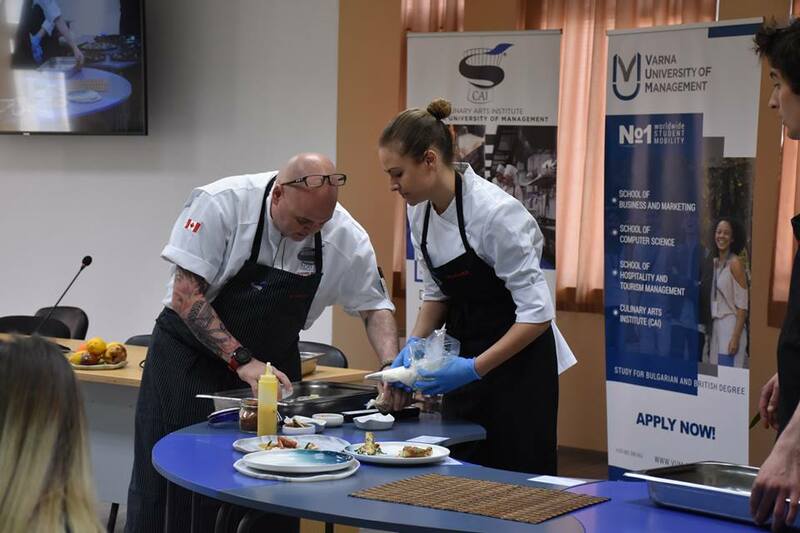 The audience was impressed by the attractive presentation and culinary demonstration made by the Programme Director of the culinary programs, Chef Hugues Boutin and students from the Culinary Arts Institute. 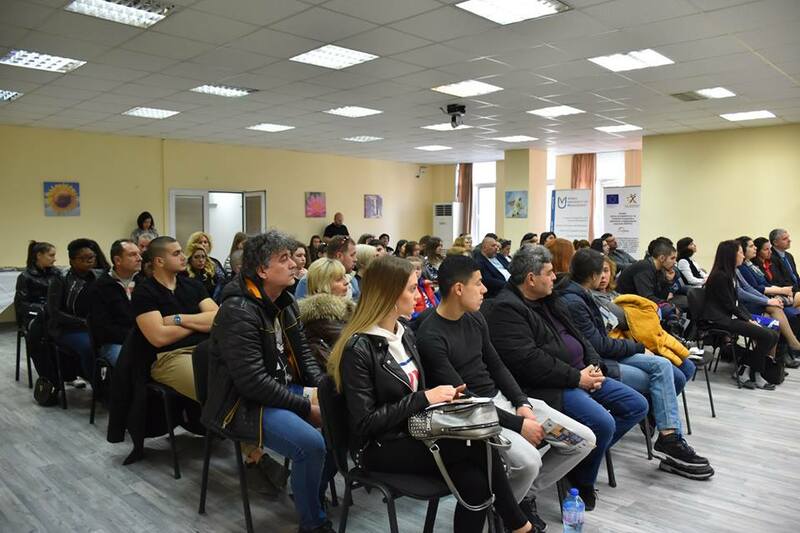 VUM current students and alumni also shared their experience and impressions from both the educational process and their personal and professional realization. Especially for the event, we received personal videos from two of our graduates – Delyana Marinova – Events Manager at “CWT Meetings & Events” in London, which organizes events of international importance for companies such as Amazon, Pfizer and British Petroleum and Margarita Gavrilina – Sales Manager of a hotel from the prestigious international chain “Premier Inn” in Dubai. A lot of surprises and awards have contributed to the great mood of all guests and participants.